The Universe is trying to speak to you. Can you hear its message? Sometimes its voice might resemble a tiny nagging sensation that something is “not quite right”, and at other times, it may be a powerful roar, showing up in your life as a full on “crisis”. Whatever the means of communication, the Universe’s whispers, cues, and flat out screams are there. They are nudging you, guiding you, leading you in a new direction; a direction where you can find answers, find information, and ultimately, to find more joy, more abundance and more peace. Are you willing to tune in? In this day and age, we are pulled in so many directions, family, career, and personal responsibilities. The pressure to be plugged in and connected, are ever present, but connected to who? And for what purpose? Are you connected to the surface issues of life, or are you connected to your Soul? Are there days when you ask yourself, am I enough? Why am I working so hard? Why can’t I get ahead? Why is my love relationship struggling, stagnant, falling apart or empty? Why are my children causing me so much distress? Why can’t I keep up financially with the “Joneses”? Why am I so unhappy, listless, lethargic, and just plain lost? As a Higher Self Messenger, my main purpose in this lifetime is to help you hear the whispers, the cues, and yes, even the roar of the Universe. I can help you decipher the information that your Highest Self is wanting you to know, right now. I assist you by sharing the information that will lead you to more JOY, more ABUNDANCE and to experience a greater sense of PEACE in your life. Laurie-Elle connects to your energy and the messages waiting for you from your Spirit Team and Highest Self. These messages are then “reflected” back to you in the form of a story; the messages are always what your Highest Self is wanting you to know at this present moment in time. In addition to the messages that are waiting for you, you will also experience a profound energetic healing. This healing is exactly what your Highest Self knows you need to help you move forward in your day to day life, as well as on your personal spiritual journey. 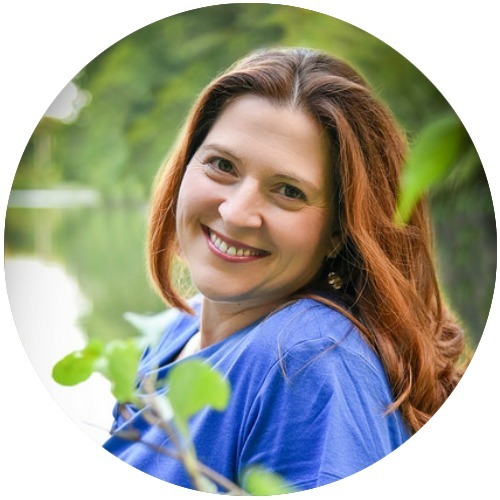 Laurie-Elle channels on-the-spot guidance and energetic clearing, while also determining and identifying any deeper energetic imbalances or areas that may need attention. This is the perfect session for clients who previously experienced a Reflective Resonance™ Healing and are looking for additional direction and guidance, or for the customer who has something very specific they are need immediate clarification about. R.E.A.P. helps us realign and return to our natural state. By working with eleven different centers in the body, R.E.A.P. clears energy blockages and strengthens areas in need of attention. It works on a physical, emotional, and spiritual level and also aligns clients with their "Higher Self" - awakening and restoring them to a truer way of being. This healing combined with intuitive guidance gives you clarity, a sense of well-being and inner peace. I am READY for JOY! These books were Divine whispers that helped to spark my Spiritual Awakening and move me forward along my path. Wonderful! Now keep an eye on your email to download your guide.